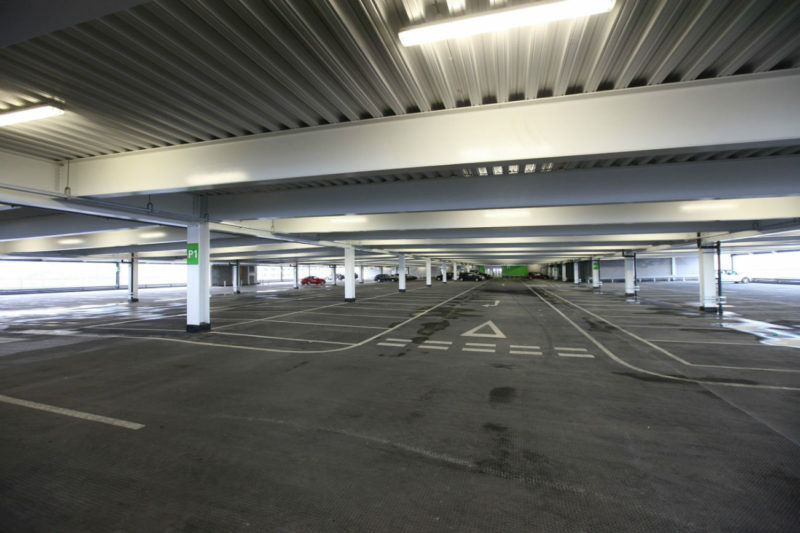 Car parks are an important asset in any town or city and are a gateway into many fantastic retail destinations. While they serve an obvious purpose to the driving public, when they are less in use, for example at night, these utilitarian building structures need not be a wasted commodity. With over 6000 multi-storey car parks across the UK, many of which are over 40 years old, it comes as no surprise they are being upgraded and refurbished with a new generation of mastic asphalt – to improve the shopping centre experience and the future use but also for when they are empty, when they metamorphosise into modern day cultural hotspots. Car parks across the county are not only multi-storey but are also becoming multi-use as they are transformed into everything from pop-up restaurants, art galleries, fashion shows and an array of outdoor activities. Take the Brewer Street NCP in Soho, Central London, it’s not uncommon to see this facility transformed at night into one of the city’s most dynamic creative spaces, hosting video installations, catwalk shows for London Fashion Week and even a children’s choir. It is ultimately a brilliant way to capitalise on these often unused night-time spaces and the proven qualities of Mastic Asphalt paving – the perfect material to provide a durable, long term wearing surface. Offering greater flexibility, durability and a wide range of colours, this traditional material is a cost effective waterproofing solution for car park applications. A new generation of mastic asphalts has been developed by mastic asphalt manufacturers to meet the changing needs of architects, contractors and clients.A key factor in the material’s resurgence is that the new products contain polymer formulations – giving it more flexibility, durability and consistent quality in application. Also, they can now be coated with an array of attractive colours for car park operators to clearly mark out individual parking spaces, disabled and family bays, and pedestrian walkways. By taking into account the type of traffic (for example cars or HGVs), the available budget and the durability performance required of the material – architects and contractors can specify a mastic asphalt waterproofing and decking system that fits the bill both now and long into the future. So whether it’s a major refurbishment or an upgrade to enable the car park facility to capitalise on the growing market for alternative pop-up venues, mastic asphalt is the go-to waterproofing system which is unrivalled in its flexibility of use and durability.